Home/News/When Holland Travels to the Bronx to QUESTion Together. 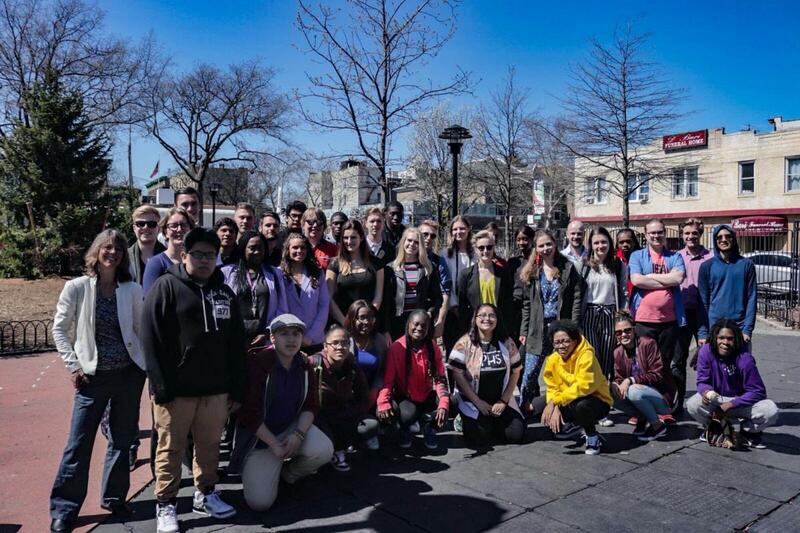 On one of the last, chilly spring mornings in New York City, excited Dutch students waited, up and ready, to finally meet face-to-face with the Bronx native pen-pals they had been writing to. 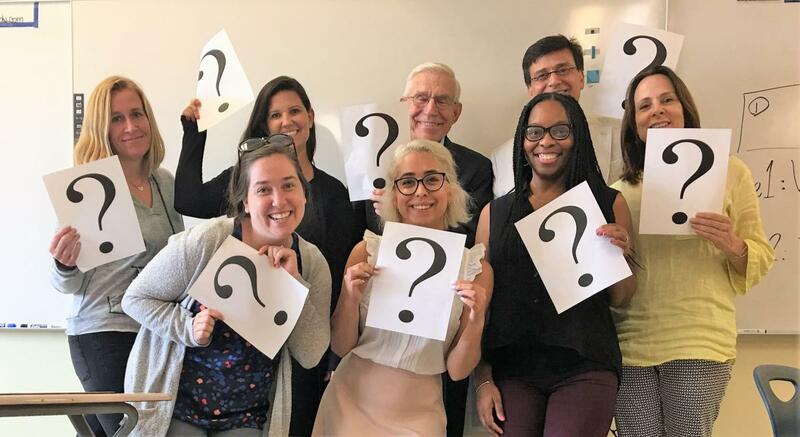 Every year, journalism students from Windeshein University in Holland take a cultural enrichment trip to New York as part of an educational effort to create well rounded and global thinking journalists. 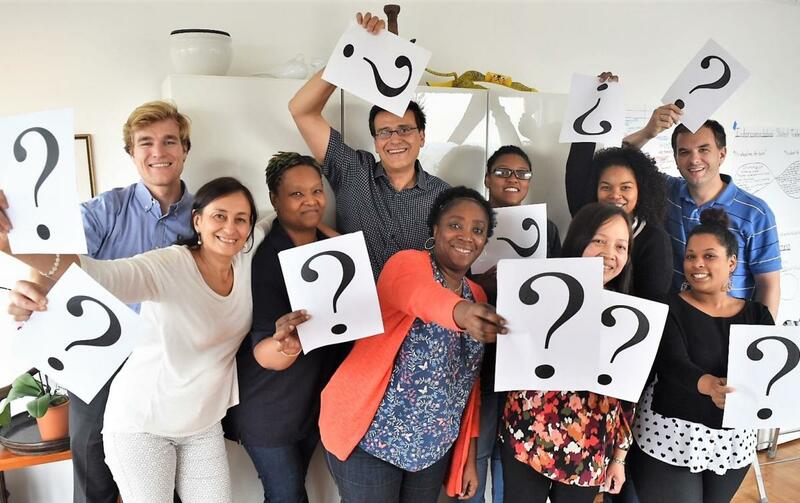 Last year, the Windeshein group met several students from the QUESTion Project and were so impressed that they wanted to coordinate a full day exchange when they came back. 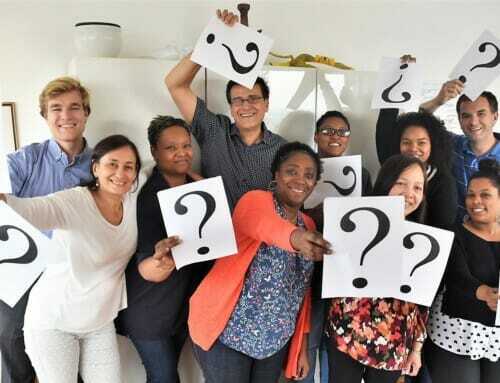 Before arriving this year, all participating students on the exchange were introduced to the QUESTion Project by Open Future Institute staff from the Amsterdam office. With a newfound knowledge of the five pillars, they were eagerly anticipating the opportunity to apply what they learned to a new experience with students from the USA. 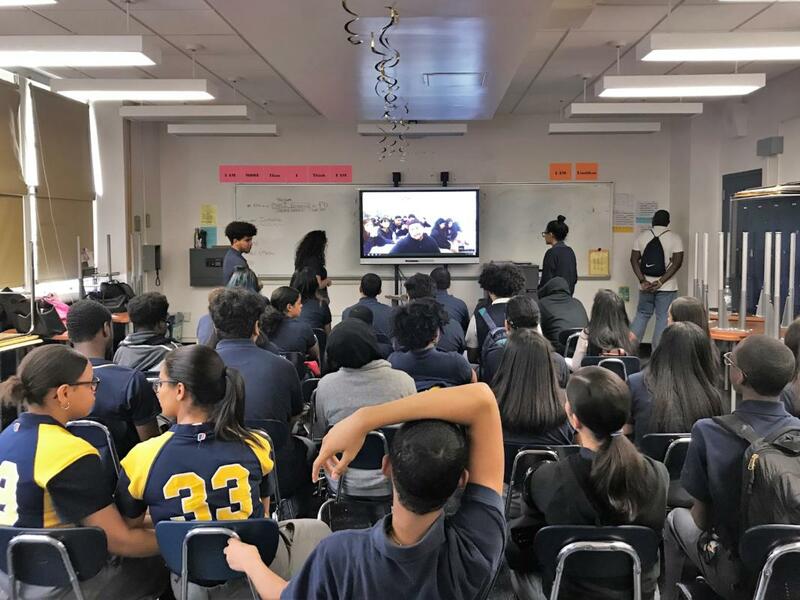 The goal of the exchange was to bring students together from completely different worlds: European, university students and high school students from Belmont Preparatory School in the Bronx. Despite difference, when thinking about our shared humanity, we can realize that we are all similar, too: we think about big life questions about purpose or meaning or how to fit in the world around us. Now, in New York, the Holland students were called to the hotel lobby to meet with QUESTion project facilitator, Gabriel, for a group chat. “What image do you think these students have of you? Of Amsterdam? Of Holland?” he asked them. “They probably think of the Red Light District and pot,” blurted a first student. The group laughed in agreement. “Well, maybe they think of Van Gogh, or tulips, or stroopwafels,” chimed in another. “I’m not really sure,” said one last girl. Then, with the silence that followed, Gabriel flipped the question: “Just as you imagine that they have a certain expectations of who you will be, what kinds of ideas we have about them? When you think of High School students from the Bronx?” The students welcomed the question with much thought. 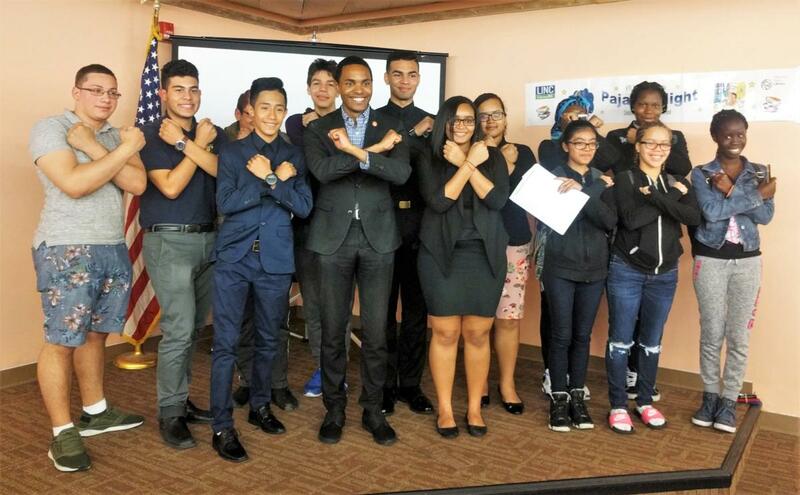 Several of them had done research on the Bronx, watched documentaries, and listened to Hip Hop music to become familiar with the upcoming visit. “I imagine that it must be quite hard to purchase feminine hygiene products for some of the girls,” said one young lady, who was doing a research project on the American feminine experience. A boy across from her suggested that maybe they are in gangs or live in rough neighborhoods. The conversation with the university students, was similar to one at Belmont just the day before. Both introduction meetings brought forth a new approach to experience life with an open-mind and curiosity. The honestly of the students in admitting the beliefs and labels they placed on each helped everyone recognize their bias. After recognizing that, we could open space for change. The Dutch journalist students traveled up the subway to Belmont Preparatory High School to meet with their “buddies” whom they were paired with. In the QUESTion classroom, the pen-pals met and spoke about life and school, as well as other topics related to inequality and the evolution of culture. 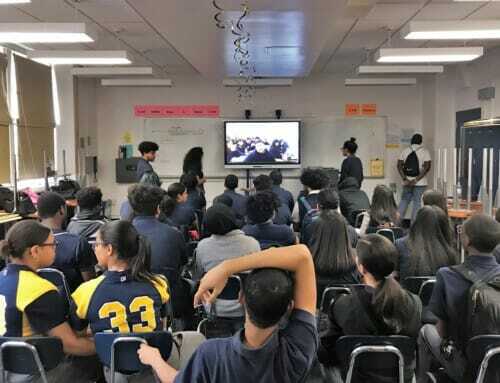 From there, the high school students gave a tour of their school and then everyone left to eat lunch together in the nearby Little Italy of the Bronx. After lots of pizza, salad, and good conversation, all were in agreement that the initial labels that everyone first placed on each other was not only limited, but based on the stereotypes that we had heard or read about elsewhere. The stew of difference in the classroom stirred up a hot melting pot of conservation and ideas. The difference in backgrounds, perspectives, and cultures couldn’t compete with the similarities in the students: that we are all human and care about exploring new possibilities. 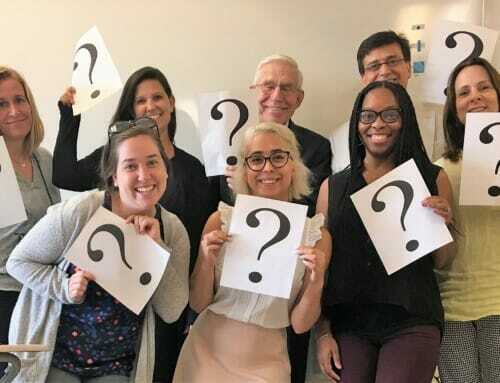 Their collaboration and newfound friendships with each other highlight the theme of interconnectedness, one of the five pillars of the QUESTion project. Last month, me and my fellow students all the way from the Netherlands got a chance to meet a wonderful group of young people and their teachers. It was a great experience over all. I think that I speak for our whole group if I say that it changed us for the better. It was such a wonderful experience to meet other young people from a totally different country. To be able to talk to you about your lives, dreams and views of the world was really awesome. We hope you guys thought so too. I personally discovered something. I found out that it did not matter that we are two completely different groups of people. Where we were born, what language we speak, or what views of the world we may have. What matters is what connects us. That we are all human beings with the same hopes, fears and interests. When we just entered the classroom it took a little time to get used to one another, but after a short while we were talking and laughing together as if we’d known each other for years. It was unforgettable to see us all connecting like that. Thank you all so much and maybe until next time!